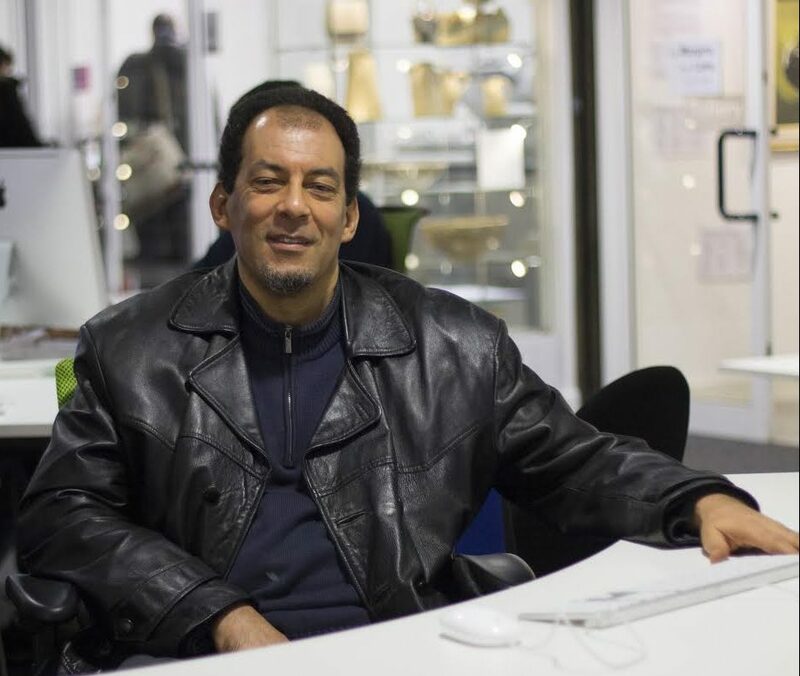 This month I interviewed Professor Hakim Adi about the Young Historians Project, a non-profit organization formed by young people to encourage the development of young historians (aged 16-25) of African and Caribbean heritage in Britain. 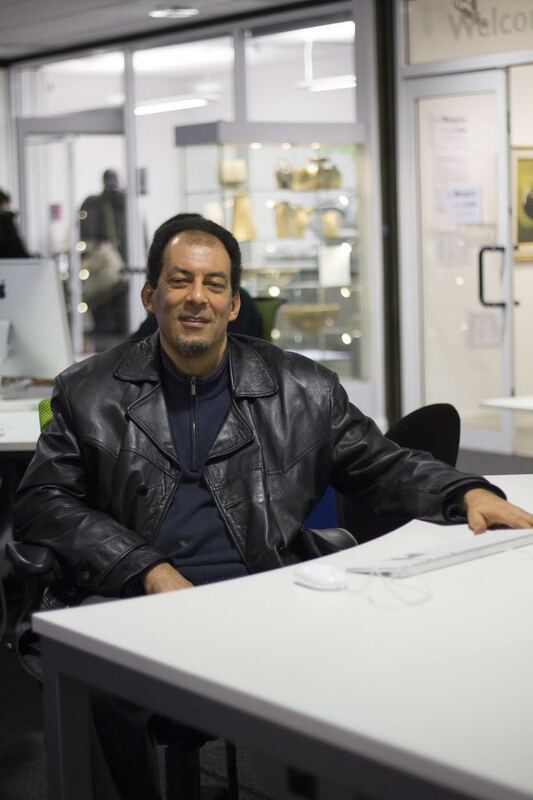 Adi is Professor of the History of Africa and the African Diaspora at the University of Chichester. Hakim is the author of West Africans in Britain 1900-60: Nationalism, Pan-Africanism and Communism (Lawrence and Wishart, 1998); (with M. Sherwood) The 1945 Manchester Pan-African Congress Revisited (New Beacon, 1995) and Pan-African History: Political Figures from Africa and the Diaspora since 1787 (Routledge, 2003. He is also (with C.Bressey) the editor of Belonging in Europe – The African Diaspora and Work (London: Routledge, 2010). His most recent book is Pan-Africanism and Communism: The Communist International, Africa and the Diaspora, 1919-1939 (Africa World Press, 2013). He is currently working on a history of Pan-Africanism. 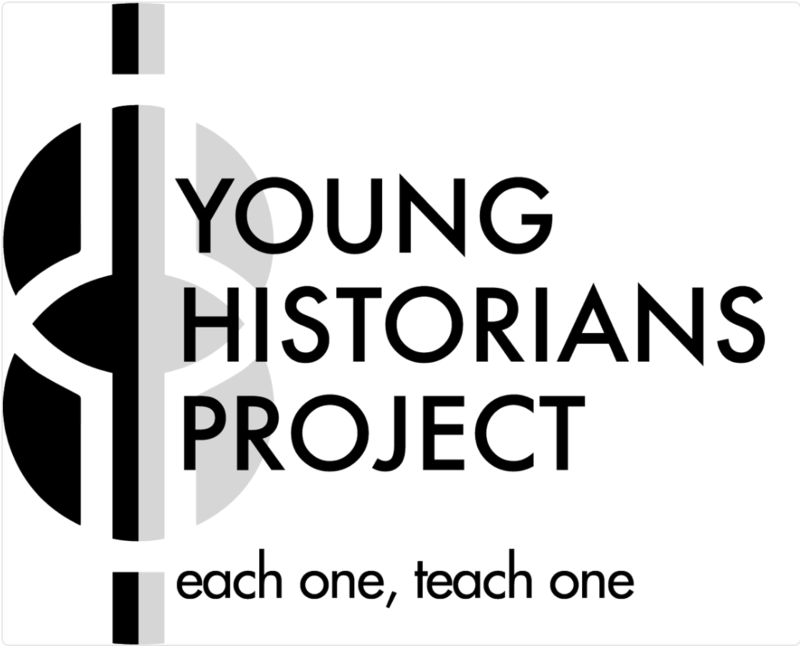 Tiffany Florvil: It seems that the creation of the History Matters group in 2014 along with its subsequent conference in April 2015 both served as the catalyst for the Young Historians Project (YHP). Could you offer us some general background on this group and the conference? Hakim Adi: The group was originally formed in response to a newspaper headline that only three black students were being trained as high school history teachers in the entire country. I was already aware of the fact that there were very few black academic historians in Britain, so the group was formed from black history teachers, historians and PhD students to investigate what was going on and what could be done about it. Our investigation showed that there were very few black history graduates, less than 1500 per annum (or less than 2% of all history graduates) and that amongst black undergraduates, history was the third most unpopular subject–only agriculture and veterinary science were more unpopular. There were, consequently, very few history teachers of African or Caribbean heritage, very few PhD students (at that time less than 10), and very few black academic historians. At that time, we could only find five, and only two of us were trained in Britain. I was the first and only full professor of history who is of African or Caribbean heritage. These statistics were even more alarming because at community level history is so popular. Something needed to be done but nobody was doing anything. So, we decided to hold the conference, to ask black students, including school and PhD students, as well as teachers to speak about their experiences. If nobody was doing anything we must investigate and find solutions ourselves. One issue that emerged was that students were being put off history by the Eurocentric curricula in schools and universities. As part of addressing that problem we decided to establish a Young Filmmakers Award for schools and a Young Historians Project for 16-25 year olds. Florvil: Why was it important to establish the YHP, and what are the objectives of the YHP? Where is it located, and how is it funded? Adi: The aim of the YHP is to encourage young people of African and Caribbean heritage to engage with history and we train them to acquire the skills to become historians – to interpret the past and present it in such a way as to inspire their peers through film, exhibitions, etc. In short, we are encouraging young black people to find a solution to a problem. It is based on the principle ‘each one, teach one.’ If you know something, you should share your knowledge with others and use it to make a difference, to change things. The study of history is the study of change, so there is no point studying it if you are not interested in changing the world. We currently have funding from the Heritage Lottery Fund, which distributes a share of the income from the National Lottery to projects ‘aimed at preserving and making accessible the nation’s heritage.’ We can say that we’re London-based, although some of our young people are based outside London. We are partnered with the Black Cultural Archives, also based in London, where most of our workshops and some of our interviews are held. Florvil: The YHP is involved in excavating the narratives of individuals of African descent in Britain. Why is it important to recognize, share, and publicize these histories? What are the implications of this intervention? Adi: The historical focus was decided by the young people involved. Clearly, it’s important to have a British focus, because that material is more accessible to us. A ‘Black British’ focus is also important because this history is largely, although not entirely, excluded from study in schools and universities in the country. Young people are more likely to study something about Martin Luther King or Malcolm X, than they are about Amy Ashwood Garvey or Claudia Jones, or something relating to Africa or the Caribbean unless it is slavery-related. We have evidence that some young people only ever hear about slavery in schools, as if this is the history of people of African descent. This is very alienating and young people don’t know anything about the history of people and organizations that existed in Britain even in the 1960s, 1970s, etc., the history of their parents and grandparents, much less the ancient history of the period before. So, the aim is to find ways to change things, not just to give people a pride in their own identity and history, although this is very important and its vital to document this history. However, it’s also important that we understand the world in which we live and this cannot be done if its history is largely obscured and distorted. Florvil: It is remarkable that the Young Historians Project includes the participation of young people from the ages of 16 to 25. How does YHP recruit young people of African and Caribbean heritage? Do you encourage the involvement of other young people in YHP? Adi: Young people participated in the History Matters conference in 2015 and some of them were our first recruits, including a few who were younger than 16. Some people invited their friends, others heard by word of mouth, some were recruited by teachers we knew. Now we have a website and social media team, so things grow step by step. The project is aimed at young people of African and Caribbean heritage but we do not turn others away. Everyone has been made welcome. Florvil: What other projects does the YHP plan to pursue? For instance, the first Black Studies undergraduate degree program will be offered at Birmingham City University in September of 2017. Is there any effort to link up with faculty and students there? Adi: We hope to develop further projects, since the current one will have been completed by the end of the year. We hope to build something around those who are currently participating but there are no definite plans yet. However, History Matters is engaged in several other projects. I mentioned earlier the Young Filmmakers’ Awards which is also in its first year. Anyone, or group, of young people from 11-18 can enter by making a five-minute film on any aspect of ‘Black British’ history. This is an annual national competition, so the intention is to develop it further next year. Then History Matters, in conjunction with the University of Chichester, as well as others, is holding its second conference this October. Entitled ‘New Perspectives on Black British History’ it aims to present the work of young historians, especially those of African and Caribbean heritage. It will also concern itself with the connection between research and what is taught in schools. My understanding is that the Birmingham course does not involve in historians and so our goal remains to help to create them. I can reveal that in this regard it is anticipated that the University of Chichester will soon launch a new Masters level e-learning course on Black History, or rather the History of Africa and the African Diaspora. This will of course be open to all, even those in the US. We are happy to work with everyone if it helps us to address the problems that confront us. Our first conference was jointly organized with the Black Cultural Archives, the Historical Association, the Royal Historical Society and others. We take the same approach with the YFmA and the second conference. The YHP is partnered with the Black Cultural Archives and we want to strengthen that relationship. We are always open to offers of collaboration from any quarter. This interview is part of those collaborative efforts as we also want to strengthen our relationship with the AAIHS. Florvil: What has been the reception of the Young Historians Project so far? Adi: In general, we have had a very good response, a lot of enthusiasm and help from those we have interviewed. We have had an enthusiastic response from young people too. The demand from young people is greater than our capacity and at the current time we have a waiting list of nearly twenty. Tiffany Florvil is a historian of the modern and late modern period in Europe, especially social movements, gender and sexuality, emotions, and the African diaspora. She is currently revising her manuscript tentatively entitled, Making a Movement: A History of Black Germans, Gender, and Belonging. Follow her on Twitter @tnflorvil. I think that it is a good idea to have a research program specifically by younger generation getting together . Remarkable. He stole my heart when he made mention of Amy Ashwood Garvey.